Discover how to develop timely, targeted interventions at all three tiers of the RTI pyramid for grades 6–8. 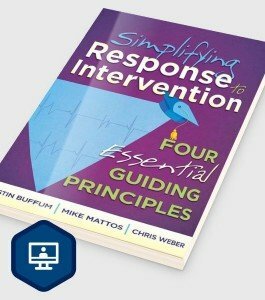 Implement a quality response to intervention program. In this self-paced course, you'll learn how to develop timely, targeted interventions at all three tiers of the RTI pyramid for grades 6–8. You'll explore the rationale and strategic steps needed to design a successful plan and discover a framework for overcoming implementation challenges to ensure high levels of learning for all.